Combining 1600-PSI with 1.6 gallons of water per minute results in 2560 cleaning units in this electrical pressure washer by Pulsar. Ideal for carefully washing vehicles, and small home projects, the PWE1600 pressure washer is also offered in a compact design making it easy to store away when not being used. 1600 PSI 1.6 GPM Electrical Pressure Washer Combining 1600-PSI with 1.6 gallons of water per minute results in 2560 cleaning units in this electrical pressure washer by Pulsar. 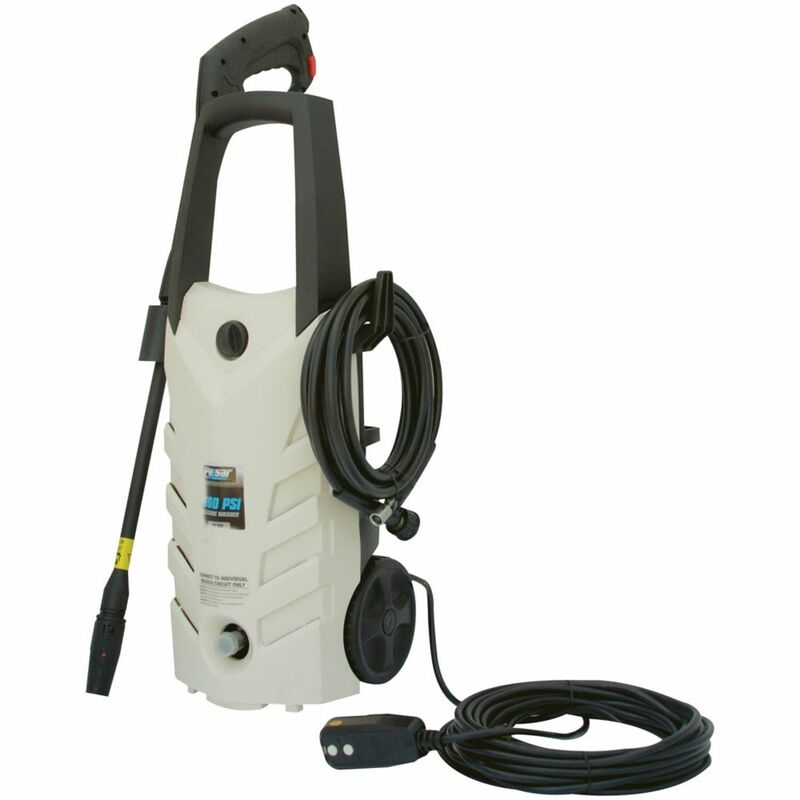 Ideal for carefully washing vehicles, and small home projects, the PWE1600 pressure washer is also offered in a compact design making it easy to store away when not being used. 1600 PSI 1.6 GPM Electrical Pressure Washer is rated 4.0 out of 5 by 2. Rated 4 out of 5 by Power washer from Power washer It works great. Light weight so it is easy to carry. Rated 4 out of 5 by Kemist from Works on house and driveway, but not now bug on... Works on house and driveway, but not now bug on grill of car. Does the 1600 PSI 1.6 GPM Electrical Pressure Washer (Model # PWE1600) contain a fillable water tank?